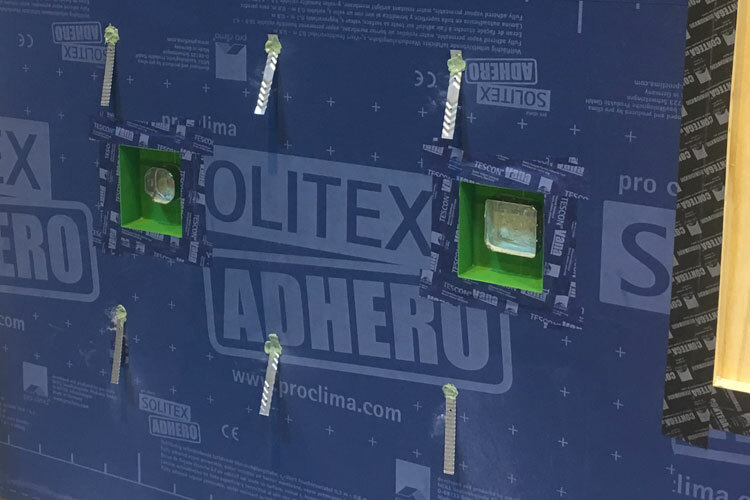 The Pro Clima ADHERO self-adhered, monolithic, vapour permeable membrane is the state of the art in durable weather-resistive barriers and roof underlayments. This membrane is part of a complete Pro Clima air sealing and moisture management system. It was logical then that the ASTM E2357 testing returned results that were not only multiples better than required, but tested at the edge of the lab equipment capabilities. 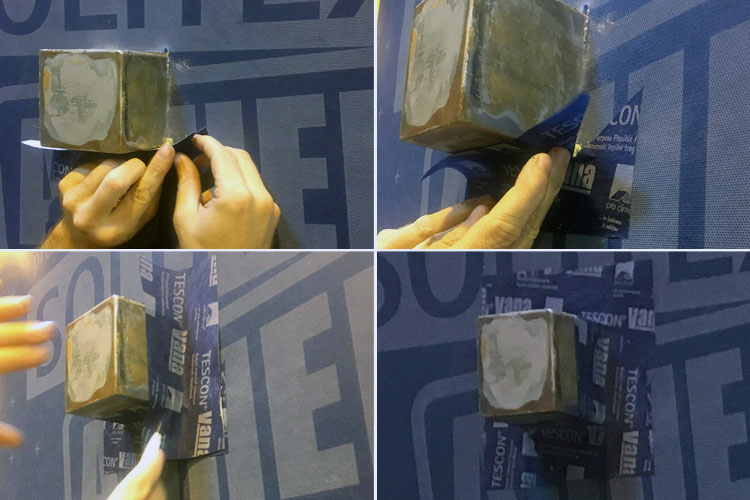 ASTM E2357 Standard Test Method for Determining Air Leakage of Air Barrier Assemblies. This test is performed by a third party certified testing facility, in this case by Intertek. 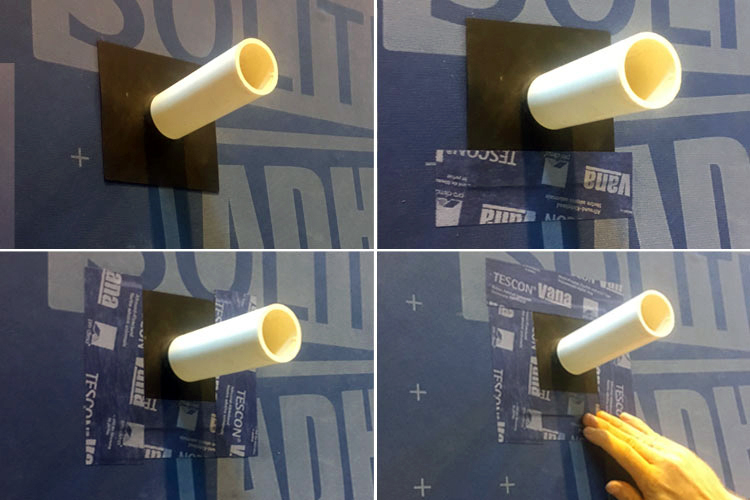 The test is composed typically of two mockups, one with standardly prescribed penetrations and one without penetrations. Each mock-up is prepared per standard procedures and placed in a test chamber. In this chamber, positive and negative pressures are applied across the assemblies in stages as the airtightness of the barrier and system components are evaluated. 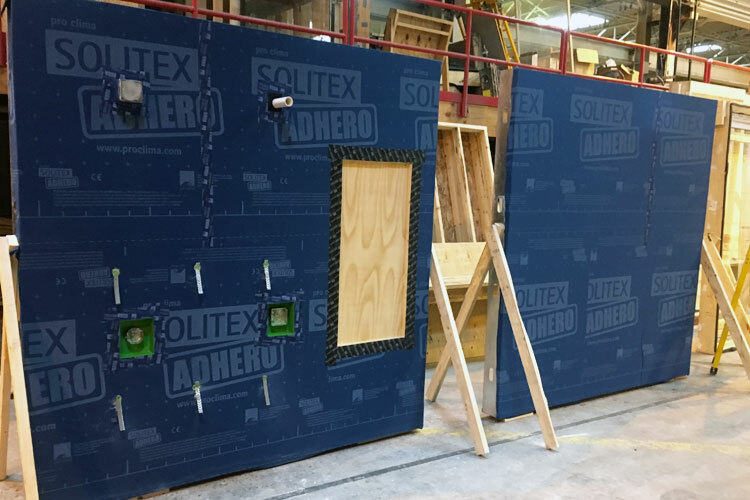 We’ve previously reported how INTELLO PLUS airtight smart vapour retarder has passed this test, without the aid of being installed on sheathing as air barriers are typically tested. But of course, self-adhered membranes are necessarily installed on sheathing of some sort, typically exterior gypsum, plywood or OSB, which are considered airtight per IECC C402.4.1.2.1 Materials. So most self-adhered exterior WRBs will be airtight as a material in an opaque wall assembly per ASTM E2357. 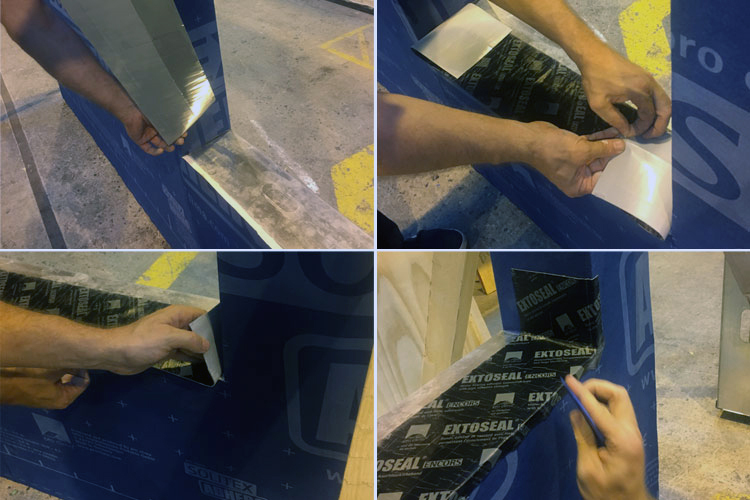 As a result, the membrane only really has to cover the joints of the underlying material to get a decent result in the opaque air-barrier system test. The penetrated test gets more interesting. 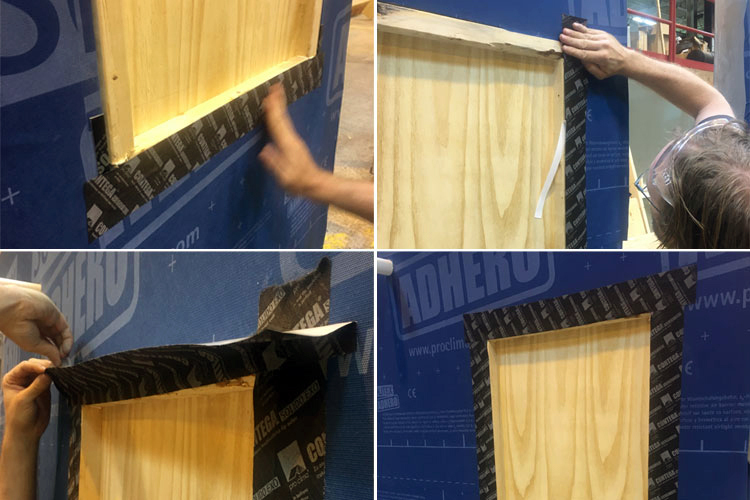 The air barrier system not only has to seal the sheathing joints, but also connect and airseal a 4” x 4” duct (100mm square), a hexagonal and round outlet box, a 2” pipe, and a “plywood” window. The fact that Pro Clima offers multiple durable solutions for each of these penetrations means that these connections can be easily, reliably, and confidently made in the field time after time, and that visually inspecting them will suffice. No matter the size of the building, when using Pro Clima’s ADHERO system, there won’t be any surprises during the blower door test. During the test, the full Pro Clima ADHERO system performed very well and resulted in both the opaque and penetrated walls testing at the edge of lab equipment capabilities (0.0002CFM/SF at 75Pa). Even after wind loading, ADHERO exceeded the IECC/IRC/IBC/NBC requirements for E2357 by a factor of 4 to 17. With the 100 year lab tested durability of TESCON VANA and the full Pro Clima acrylic adhesive on the back side of ADHERO – with its monolithic actively vapour open TEEE membrane - the system is not only very airtight, but also offers the optimum balance of outward drying capacity combined with ultimate waterproofing and self sealing capabilities, including for nail/screw battens in roofs on pitches greater than 3:12 pitches, per ÖNORM B 3647( an Austrian nail sealing standard used in Europe to test the sealing screws/nails below roof battens). This all is complemented by a 10 year comprehensive Pro Clima warranty, using materials that have been tested for 100 years of protection - ensuring that your Smart Enclosure will keep it tight for the next century.